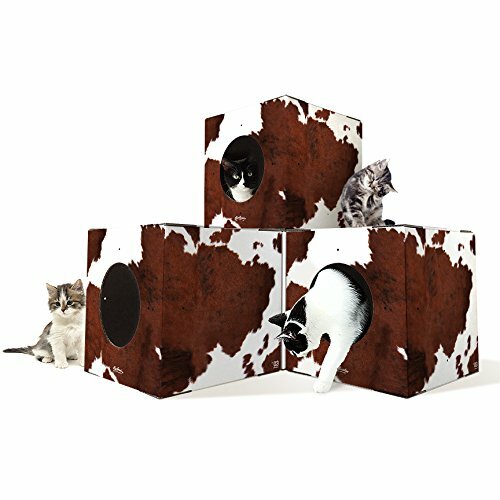 Durable & Recyclable: The boxes are built with strong corrugated cardboard that can handle up to 20 LB cats, and built to withstand multiple cats jumping, playing and sleeping in or on top of the boxes. The boxes and the plastic components are manufactured to be fully recycled. Stackable and Modular: The boxes are made to be stacked and they can be stacked as high as you like. 8 Strong Rivet attachments are provided with each 4 pack order, 2 rivets on each panel is more than enough to hold boxes together. On each panel there is a perforated opening that can be opened to create interesting tunnels for cats to move around and play. 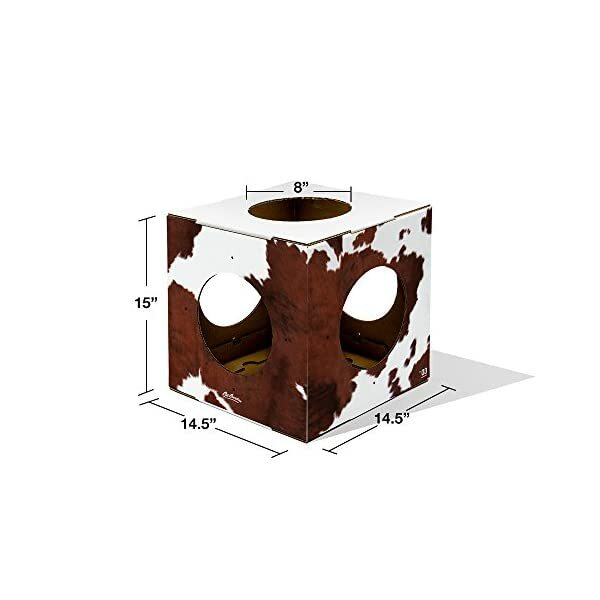 Design & Style: Our boxes are designed specially and specifically to work with your home designs, Our boxes come in a range of prints to make sure you find a suitable design. The cat box the toy came in. Ours too! So we made the purr-fect box for cats. That’s right: we designed our boxes specifically for feline fun. Our boxes come in a range of prints, so your kitty can cuddle up in style. 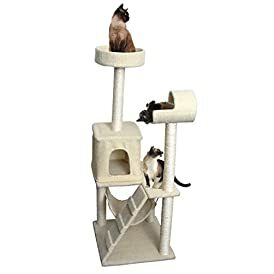 Get what your kitty has been asking for all along. A lovebox. Kitty critics agree: boxes trump whatever comes in them. We took their cue and made corrugated cardboard boxes for cats. No more stashing brown boxes before guests arrive – ours are stylish and stackable. That’s right. 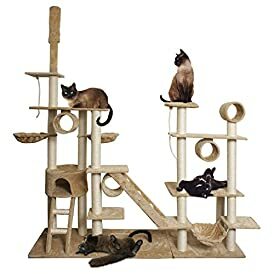 You can use one box, or multiple boxes to build your kitty a cardboard castle. The ceiling’s the limit! 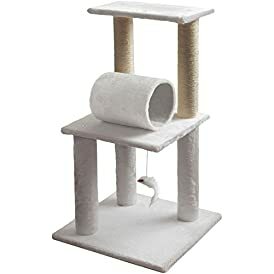 Your cat will love it. We’re paw-sitive. 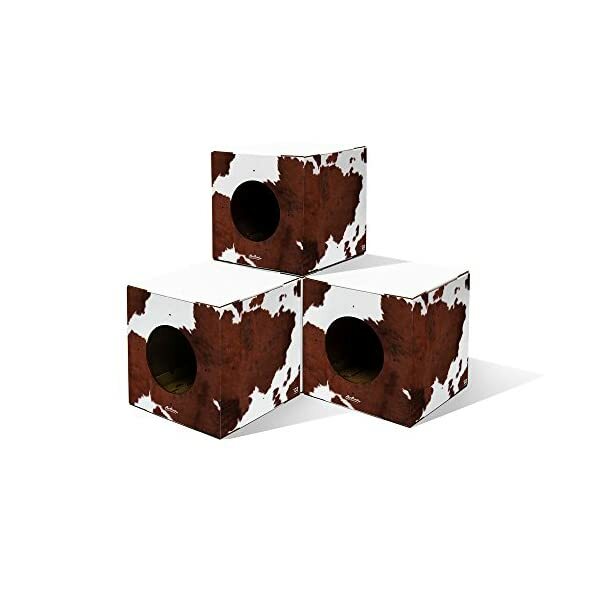 • Stackable Recyclable Our boxes are designed for your cat and you. We chose the ideal box size for kitties to feel cozy in sturdy corrugated cardboard. 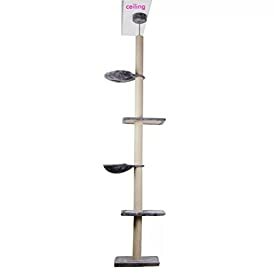 There are easy to assemble, and come with four pre-scored holes and connecting rivets, so you can stack and secure the boxes to your heart’s content. They come in six appealing prints that will enhance any living space. Loveboxes are are the purr-fect balance between functionality and style. 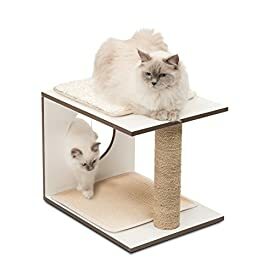 These Cat boxes are designed specially for cats, they are build with strong corrugated cardboard and can easily handle cats that over 20Lbs. 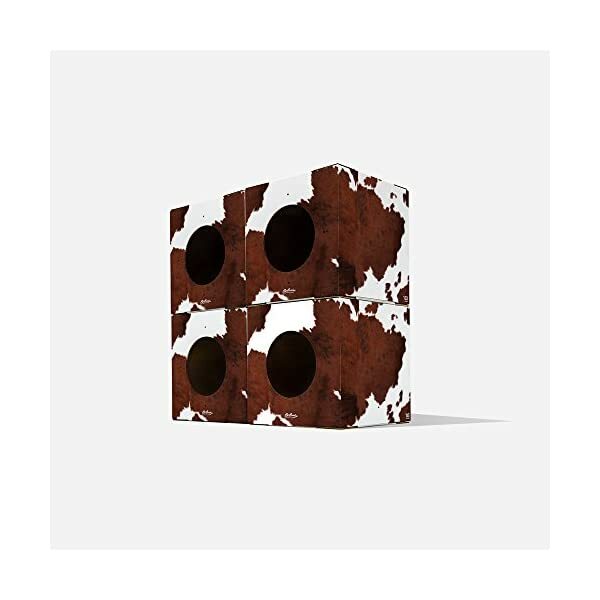 The box has pre-cut holes on all sides of the boxes that can easily be opened and be connect with plastic rivets that are provided with box packs. 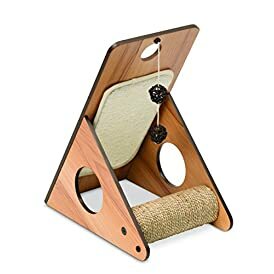 Your cat’s favorite furniture, upgraded. 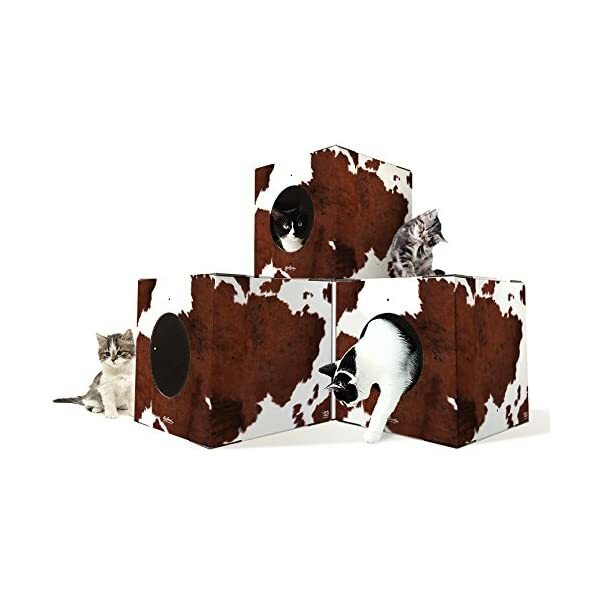 Boxes designed for your cat and your crib. Safe & Healthy,So if you demand superior product quality and an affordable price, click “Add to Cart” now! Easy Assembly: The boxes are shipped flat but are very easy to assemble, a set of step by step instructions and a video is provided on how to assemble. Safety & Health: The opening of faces of the boxes are 8′ in diameter, we have tested and made sure that cats are safe walking in and our of the boxes. The boxes act as a safe relaxing place to reduce anxiety.